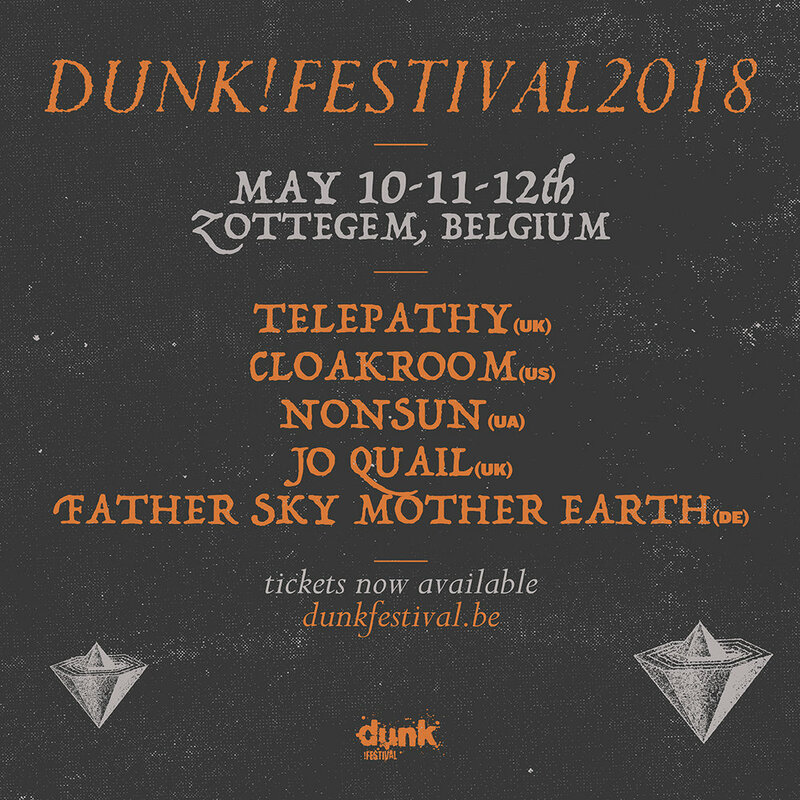 Five more names have been added to the dunk!festival 2018 lineup in Zottegem, Belgium, which means there is only one name left to be announced. And trust us, it's a good one! Joining the impressive lineup in this announcement is Telepathy from the United Kingdom, Cloakroom from the United States, Nonsun from the Ukraine, Jo Quail from the United Kingdom, and German duo Father Sky Mother Earth. The festival is nearly two months away so go grab your tickets today and come join us for the best three days of 2018.